What a year this has been, particularly in the political realm here in America and also in personal lives, too. A year to remember. 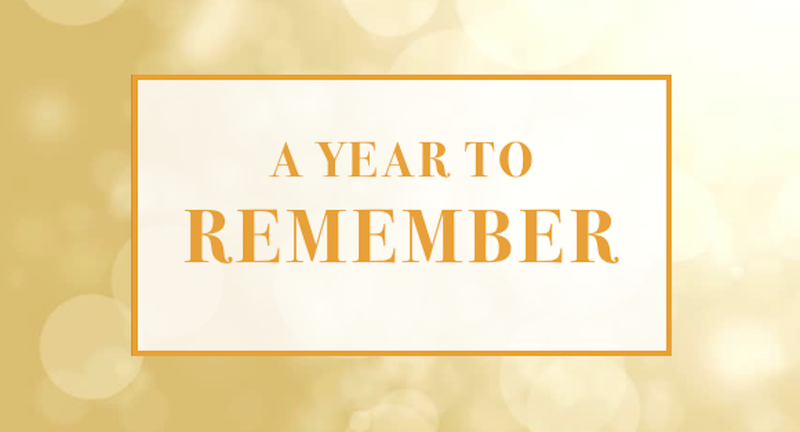 What do we remember from this year? At the beginning of 2016, I had shared a word that God had given me for the year ahead. The word came from the writing of Mark Batterson, author of the Circle Maker. I had taken this word, printed it out on a sheet of card stock and placed it on my desk as a constant reminder to me. Back when I wrote the Langstaff Letter in January 2016, I told the story of a friend of ours John Halverson, who had a big dream to go to the North Pole to pray and prophesy there. On May 22nd, John preached at our church, Church on the Hill. The following week he left to go to the North Pole and in June while traveling on a Russian icebreaker, he arrived at the North Pole and was able to phone his wife Sandy back in Duluth, MN. John had a dream, a big dream, and by the grace of God he saw that dream come to pass. Now he has another dream to go to the South Pole. When he does, he will have circumnavigated the earth in the prayer walks he has taken across America, Europe, and Asia; from west to east and from the north pole to the south pole. Pray for John that his prophetic ‘big dream’ will be possible. What is your dream? Have you got one? If not, ask God what He would want you to dream? As I noted in a recent Langstaff Letter with a follow up to the Presidential Election, I have not seen such a call to prayer here in America in over thirty years, going back to the great Washington for Jesus rallies in 1980. If we prayed hard before the election, we should not stop now. Rather, we should continue to pray hard for President Elect Donald Trump and the new administration coming in January next year. Remember also to pray hard for your personal dream to come to life. One of the hardest things to do is to wait on God’s timing. We want God to move now, not next week, next month, next year, or even longer than that. This Fall, in our church, I have been teaching a Bible study on the story in Genesis of Joseph and his brothers. Joseph, as a young lad, received a ‘big dream.’ You can read about it in Genesis 37. He had a dream about sheafs in the field, where his sheaf stood up, and all of his brother’s sheafs bowed down to his sheaf. He then had another similar dream where the sun, moon, and stars bowed down to him. As could be expected, the dreams did not go over very well with his brothers, nor his father. We know what happened to Joseph. He nearly got killed by his brothers, was sold into slavery in Egypt. Eventually, after interpreting Pharaoh’s dreams was elevated to the second highest position in Egypt, enabling them to survive a seven-year drought. During the drought, his brothers came down to Egypt looking for grain and while there they bowed down to Joseph. His dream came true, and God used Joseph to enable Jacob and his family to come to Egypt, where they became a great nation and left Egypt under the leadership of Moses. The point is that Joseph had to wait a long time for his ‘big dream’ to be fulfilled. Often, we have to do the same. Hold on to your dream. Do not let it go, for at the right time, God will bring it to pass. The unexpected happened in America this year when Donald Trump won the Presidential Election. It was amazing to follow the events from the time he threw his hat in the ring for the Republican nomination for President through November 8th, election day. No one expected him to get very far. After he had made some outrageous comments, it was expected that he would fade away. The media, although it followed him closely and covered him extensively, did not give him a chance. And then the unexpected happened when he beat out some sixteen or seventeen candidates (in the main all good candidates) to win his party’s nomination. I need to state that I was not in support of him back in February, when I attended my local caucus meeting, voting instead for Marco Rubio. Expect the Unexpected. God is able to do the unexpected to make your dream come true. As I said at the beginning of this letter, this has certainly been quite a year both nationally and personally. A year to remember! At this time we need to hold firmly on to what Scripture declares, such as in Proverbs 21:1 were it states, ‘The heart of the King is in the hands of the Lord; like the rivers of water, he turns it where ever He wishes.’ May that be so with our next President. So Dream Big, Pray Hard, Wait on His Timing and Expect the Unexpected!